Here are some of the special reports we’ve published over the past few years. Feel free to download them and read them later. 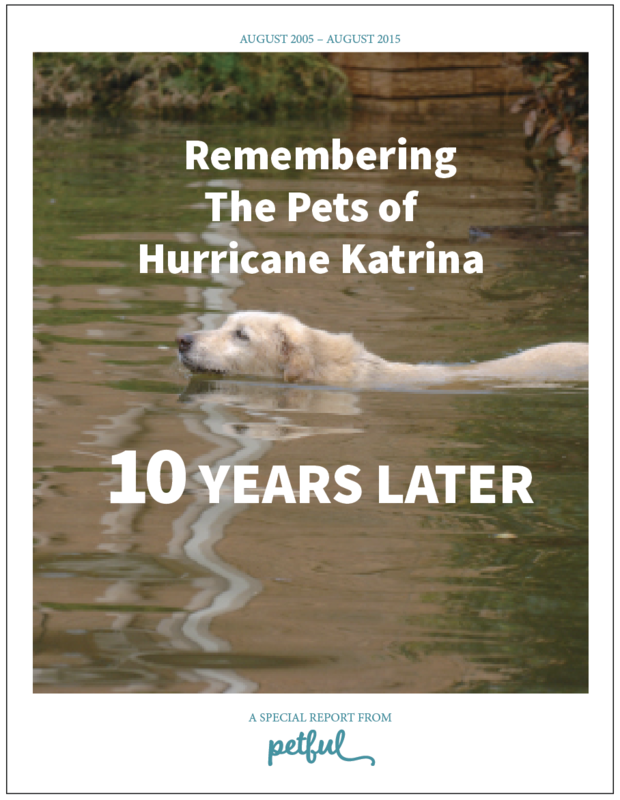 Hurricane Katrina dealt a tragic blow to the country 10 years ago, displacing thousands and killing more than 1,800 people. Among the victims were the many pets left behind during a chaotic evacuation. 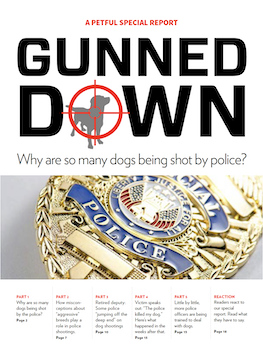 Gunned Down: Why Are So Many Dogs Being Shot by Police? Each year, hundreds or possibly thousands of dogs are shot by police. This important report shed light on the killings, with one retired deputy telling us that some officers are “jumping off the deep end.” Our report went on to be used as part of a training program for Atlanta police officers. 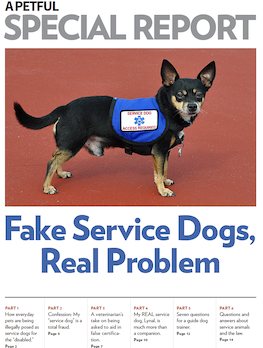 This 6-part report reveals how everyday pets are being illegally posed as service dogs — and why this is a problem for all of us. It also dives into the specific requirements of federal law when it comes to service animals.